Oh I have completely forgotten to share my special Valentine's roses I made for myself. Yes, I knew I would not get any Valentine's presents so I made my own! 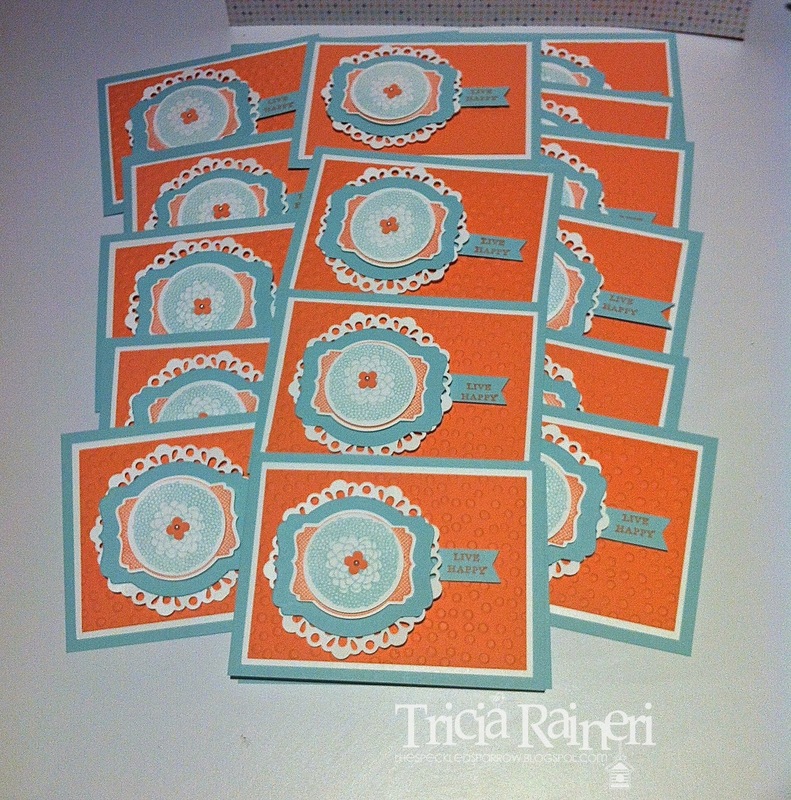 These were made using the new Spiral Flower Die featured in the Occasions Catalogue on page 32. 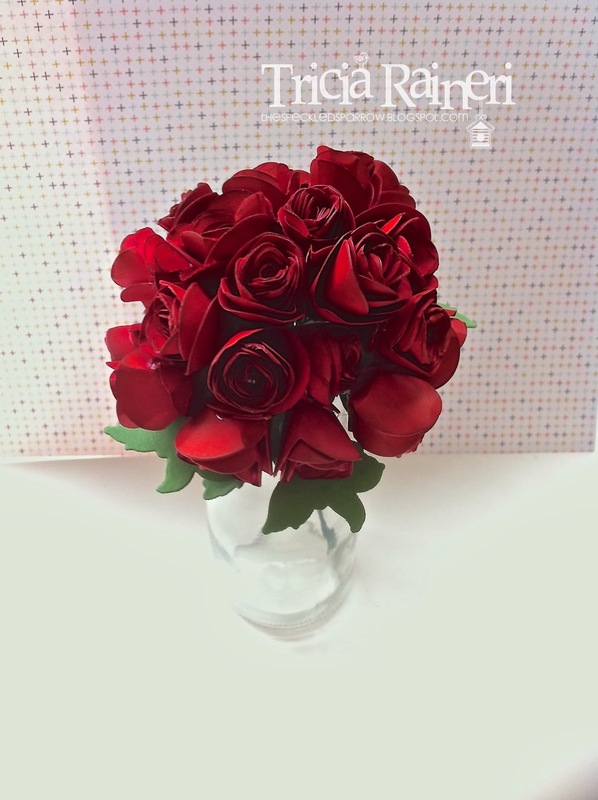 It is only $29.95 & makes the most beautiful & versatile flowers. I will be sharing some projects over the next week featuring this die so stay tuned for more. 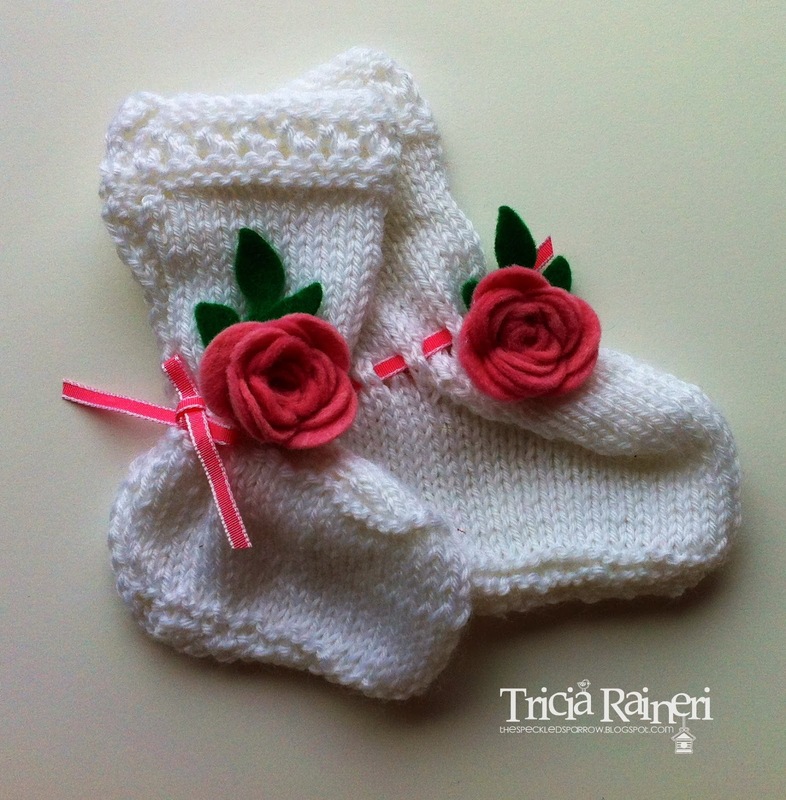 I used the new Spiral Flower Die with some felt to create these little baby bootee roses. I can see them made with Calico or any other fabric. Really, your creations are nay limited by your imagination. Swaps are one of my very favourite things to make. Mass production at it's best! I remember my first time making swaps & it was a very anxious time. Was it good enough? Does it have enough on it? Will they like it? If you are worried about these things - DONT BE! There are usually examples from past swaps, so ask the organiser for some examples. Ask for help & get a friend or family member to check your work. Swaps are great for lot of things but best of all they are great for inspiring you to create, so jump in & join that swap! Do you need to make swaps or want to join in the fun but don't know where to start? Stressed? Don't be! I knocked 35 of these off in one afternoon. 1) Decide on a design & make up 1 sample. *Remember you only need a card front. Read the swap rules. For this swap the items used needed to be Stampin' Up! current items only & based on Sale-A-Bration 2014. 2) Don't use too much on the card as you are giving them away. I limit my sample to just card stock & a bit of bling. I try to avoid using too much DSP, embellishments & ribbon as these are expensive when you are making lots. If you don't mind spending the money, then feel free to add it all! You can always make a snazzier version for yourself at the end & add these then. I would have loved to have used gold on this card & some gold embossing & the Sale-A-Bration DSP but when making multiples it is just too expensive. 4) Organise an assembly line. (Yes, mine is rather messy here but it works for me. 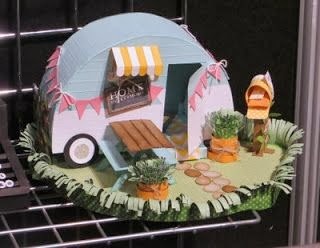 My creation process is a little similar to the swedish chef from the Muppets!) Find what works for you. Some people like to allocate an area for creating & an area for assembling. 5) Cut everything out 1st. Emboss or die cut everything before you start. Eg. I stamped 35 flowers, then punched them all out & put them in a pile. I cut 35 layers individually & stacked them up, so as I went along my assembly line I just had to take one from each pile. 6) Work backwards. I assemble the base layers then the other bits & pieces. 7) Adhesive: Use glue stick or tombow unless you are willing to go through the snail like nobody's business! I went through 3 snail refills on the 35 cards I made here & a whole packet of dimensionals. 8) Label the back with a card recipe. You need to include your name & items you used. If you need a template for this let me know & I can send you one. I just do mine in word & print them out to put on the back of each card. 9) Bribe..ahem I mean deligate the dirty work to kids or family. I had my daughter who is 10 yrs old poking all the holes out of 35 doily dies. She was paid well for her work…. in chocolate & no fingers were lost in the process! I hoped this helped & let me know if you need a helper. My daughter is free most afternoons. 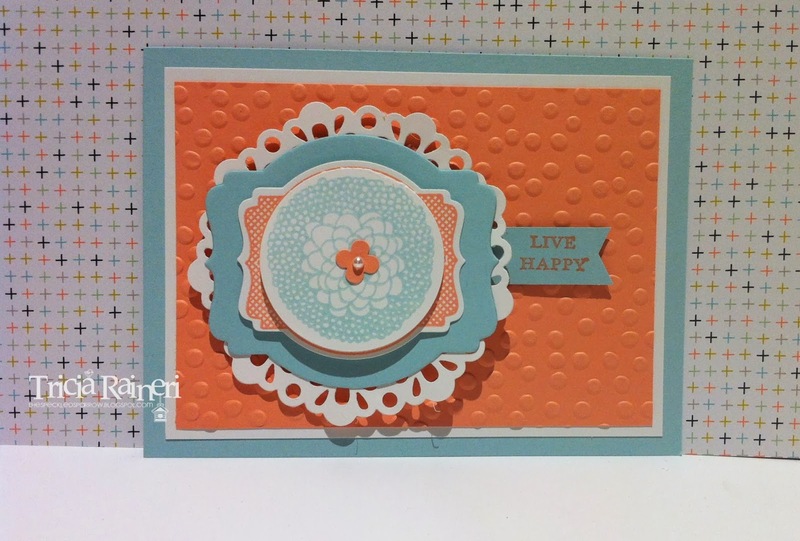 Stamp Sets: Petal Parade (Sale-A-Bration 133599), You're Lovely (Sale-A-Bration 133575). Paper: Whisper White (106549), Crisp Cantaloupe (131303), Pool Party (124391). Cool Tools: Bigshot (113439), Deco Labels Framelits (1130102)), Banner Punch (Sale-A-Bration 133519), Itty Bitty Shapes Punch Pack (118309), Dimensionals (104430), Pearls (119247), Delicate Doilies Sizzlits L(126999), Decorative Dots Embossing Folder (Sale-A-Bration 133520). Absolutely gorgeous right? 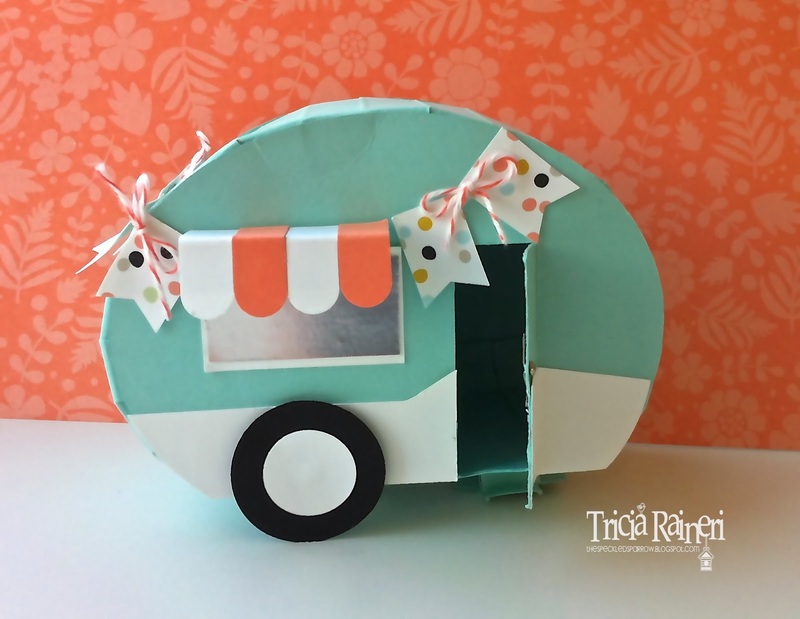 Well, how excited was I when Erica released her Whole Lotta Love Project planner that includes another sweet version of her cute little caravan! I made a very basic one first to try it out & I must say it was reasonably easy & came out quite well. I used Sweet Sorbet DSP & the Banner punch (Sale-A-Bration items) - you could choose either of these FREE with a $90 order during Sale-A-Bration! Cool Tools: Bigshot (113439), Ovals Collection Framelits (129381), Banner Punch (Sale-A-Bration 133519), Dimensionals (104430), Envelope Punch Board (133774), Word Window Punch (119857), 3/4" Circle Punch (119872), 1 1/4" Circle Punch (119861), Stampin' Trimmer (129722), Sticky Strip (104294), Calypso Coral Bakers Twine (125573).